Offerings for the Project Space at COLLECT 2012 – Presented by the Crafts Council at the Saatchi Gallery. London. 11-14 May 2012. Offerings for the COLLECT 2012 Project Space consisted of a series of woven sculptures forming an installation, made from a selection of deconstructed female vintage and second hand garments. A women’s’ handmade 1950’s yellow gown was the starting point of the weft and grey satin ribbon was used as the warp. The additional garments for the weft were selected in response to this gown. A colour palette of yellows, greys, blacks and pinks/peaches developed in relation to textile prints of that era. The raw materials referenced and explored textile ribbon history and social context. The works development, progress, installation and conclusion was documented via lucybrownmakes blog. There was the opportunity to view the work before it is cut off of the loom in a studio viewing event which took place on Saturday 14th April 2012. 2pm-5pm. After Offerings was launched in the Project Space at COLLECT 2012, the work was re installed in A 62 Group exhibition ‘62@50’ at the Holden Gallery Manchester Metropolitan University, Manchester (16 July-17 August 2012). 62@50 was part of The 62 Groups 50th Anniversary year of programmed events for 2012. 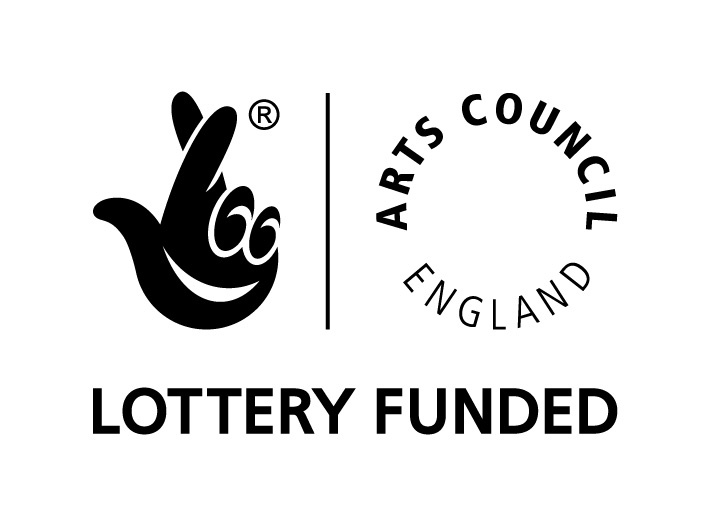 Offerings 2012 was Supported by the National Lottery through Arts Council England. The Theo Moorman Trust for Weavers funded the material costs of the work.